Ewereka - Zuercher & Co. There is a relative dearth of sheep’s milk cheeses here in the states, and Central Coast is looking to help fill that void. They are now sourcing sheep’s milk from a recently opened dairy. The farmer there, Basque by birth but living in California for some time, has been raising sheep for meat production, but was interested in keeping a flock for dairy. Recognizing the rare opportunity of a farmer with deep knowledge of raising sheep, Central Coast committed to 100% of their milk production and has begun experimenting with some new cheeses. 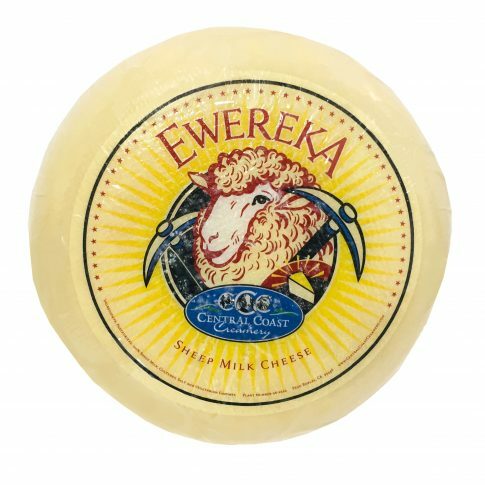 The result is Ewereka, made exclusively with sheep’s milk, this cheese is modeled on a cheddar recipe. It has light acidity, but also some vanilla and toffee notes.